In California, property owners and managers have a duty to adhere to established engineering standards when designing roadways and buildings. They must also conduct regular inspections to assure their properties have not become dangerous and adequately maintain their properties in a safe and secure manner. When an owner or manager fails to fulfill these legal obligations and someone is harmed, they are responsible for the resulting injuries and financial damages. The experienced Los Angeles premises liability attorneys of Taylor & Ring have represented many individuals throughout Southern California who were injured due to the negligent design, construction, maintenance or repair of public and private properties. We have the knowledge and resources to conduct a comprehensive investigation into the incident and mount a case for adequate compensation from all responsible parties. What are considered dangerous conditions? Elevator and escalator malfunctions. On public and private properties, elevators and escalators can be a cause of injuries when not maintained and inspected on a regular basis. Elevator doors may malfunction, trapping visitors inside or injuring them as they attempt to enter or exit. Escalators can also be extremely dangerous. According to the National Institutes of Health, about 10,000 escalator-related injuries present to emergency rooms nationwide each year. The steps of an escalator may malfunction, causing injury to the legs or feet of a rider. 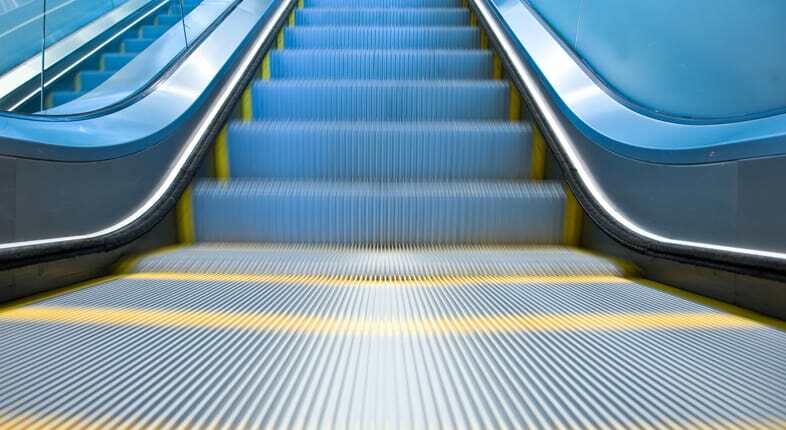 Mechanical defects can also cause escalators to jolt violently and unexpectedly. When individuals use elevators and escalators, they do so with the expectation that they are in proper working order. Yet disrepair and negligent maintenance can lead to broken bones, amputation, paralysis and even death. Fire hazards. When property owners choose to ignore fire hazards on their property, they are leaving the door open for deadly fires. Defective wiring and electrical equipment are major causes of property fires. Owners must ensure that their electrical systems are installed properly and maintained in an adequate manner. Heat producing appliances, like floor heaters, can also create fire hazards if not utilized in a secure manner. Property owners should also ensure that flammable liquids and garbage is disposed of correctly to avoid additional fire risks. Property defects. Public and private properties can have defects that place visitors at risk of harm. Defective building designs can lead to catastrophic injuries. For example, California has strict building codes in relation to the consistent threat of earthquakes. If a building designer fails to follow these codes and injuries result during an earthquake, the designer and owner may be held liable. Poor construction and low quality building materials can also cause resulting injuries. Inadequate maintenance. Buildings and properties require regular maintenance to address regular wear and tear. As owners become aware of potential hazards, they are responsible for repairing them before they cause injury to a visitor. For example, if the owner knows that a stairway banister is loose, but does nothing to repair it or warn visitors about it, he or she may be held liable if someone falls down the stairs while relying on the defective banister. However, owners do not only have a duty to repair, they may also have a duty to regularly inspect for possible risks. Adequately meeting this duty may require assistance from a professional who knows what to look for and how to identify dangers that may not be apparent to a lay person. If owners fail to take on this responsibility and an injury occurs, lack of knowledge may not be sufficient for a successful defense. Dangerous condition cases often involve government agencies or powerful private owners with extensive financial resources. These matters are particularly challenging when they involve governmental entities. Countless immunities have been written into the law to help shield these entities from liability for their negligence. Our Los Angeles dangerous condition attorneys are experienced in navigating and defeating those complex immunities to hold government entities accountable. We are also very familiar with the tactics often employed by owners of large multi-unit buildings and their insurance companies to gain an unfair advantage in litigation. We have the resources, knowledge and tenacity to fight against those tactics. Our skilled negotiators know how to secure high-value settlements, but we are also willing and prepared for litigation if the need arises. We are not intimidated by powerful property owners and you shouldn’t be either. Our lawyers fight to get our clients full compensation for their injuries. Whether you were injured as a result of a dangerous roadway, a poorly constructed building, a balcony riddled with termites and wood rot, or any number of other hazardous property conditions, our attorneys are uniquely qualified and experienced to fight for you. Call Taylor & Ring at 310-760-6390 or complete contact form today for a free consultation with an experienced Los Angeles premises liability lawyer.